bandits. Bullets hailed down on them from all directions, and just as Morihci thought all would be killed, he suddenly he felt composed and focussed. He somehow managed to avoid being hit by any bullet by sensing where it was coming from, and dodging them on the spot by turning his body without jumping out of the way. The center is maintained in both physical movements and in the mind. By cultivating the center over many years the trainee learns to move adroitly both physically and mentally and will learn how w avoid confrontations with others. 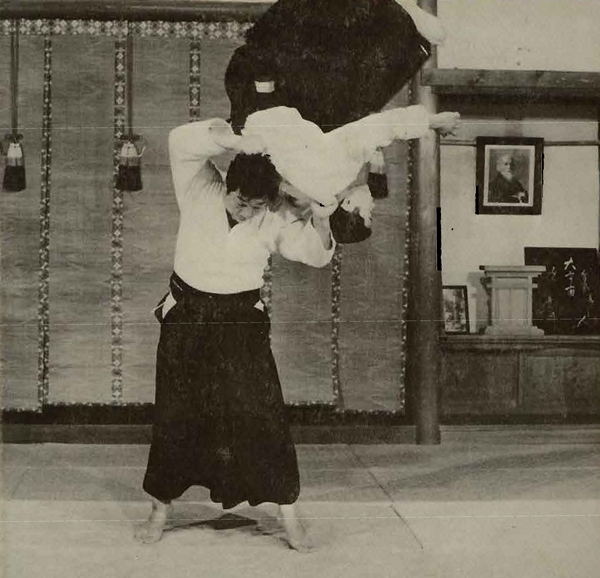 Ultimately, the student of aikido will learn to embody the mental composure and physical dexterity to deal effectively with whatever situation he or she is faced with. The Aikido practitioner also learns respect for other people, and to value harmonious relations.